Giving birth is a beautiful thing. For those who have been in the delivery room can only explain the joy expressed on a mother’s face the moment they receive their bundle of joy in their arm. However, everyone knows that motherhood is not always a bed of roses: that does not, however, change the fact that it is the most beautiful thing. Well, as aforementioned, it is not always easy. Mothers have a lot to handle after birth. We are talking about sleep deprivation, no time to themselves, house arrest, hormones being all over the place and so on and so forth. A mixture of all the behavioral, physical and emotional changes might sum up to something called postpartum depression. While most of the stress you are having after birth might seem relatively reasonable, sometimes it might be a little more than that. Postpartum depression is not a new term. However, one might still have some difficulties in establishing if she is going through it. If you notice the symptoms below, you need not to despair as you can find a therapist near you here. You must be wondering why you should be feeling guilty in the first place: you just brought a new and beautiful life into this world. If anything, you should be all the way happy and grateful that you went through it successfully. One starts feeling guilty when they start feeling that they do not deserve the assignment: being a mother. Sometimes you cannot really tell why you are feeling that way. When it gets to that point, you need to consult a professional. Have you ever just sat by yourself and felt that your family did not need you, and would still do okay in your absence. The feelings graduate to an extent where you might want to run off to a different country far from everyone. It gets serious to a point where you feel like you want to commit suicide. 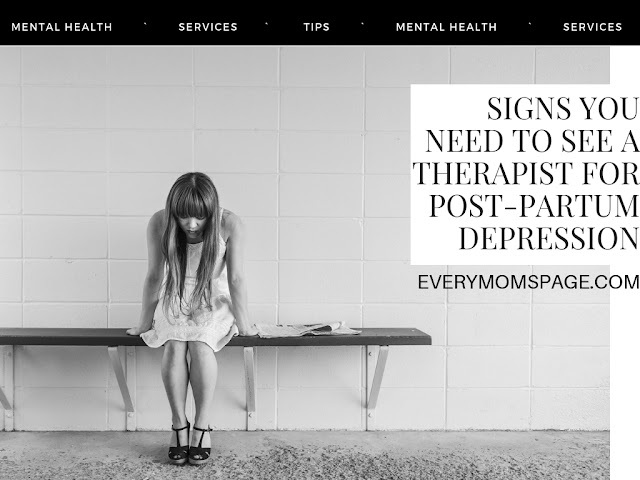 That should tell you that you need a postpartum depression therapist as early as yesterday! It is okay to feel overwhelmed. I mean, the new responsibility is not easy. However, you need to get a professional’s attention the moment you realize that no kind words from your family and even partner are making you feel better. Being overwhelmed should be normal. However, when it gets to a point where you do not only feel overwhelmed during only the difficult time but all the time, then you need to put serious thought into it. You should at no point feel that being a mum was not meant for you and you cannot do it. You certainly can. Postpartum depression can be harmful to a mother and eventually have adverse effects on the baby; it is, therefore, advisable that you address it in good time.